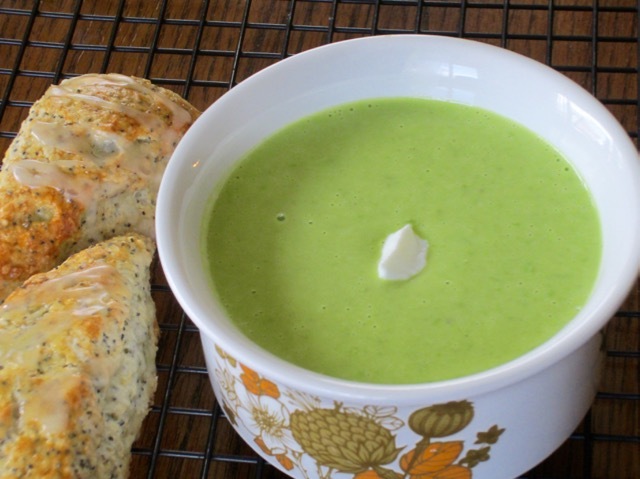 Please make sure you use Sweet Baby Peas (Petit pois sucrés) for this soup. 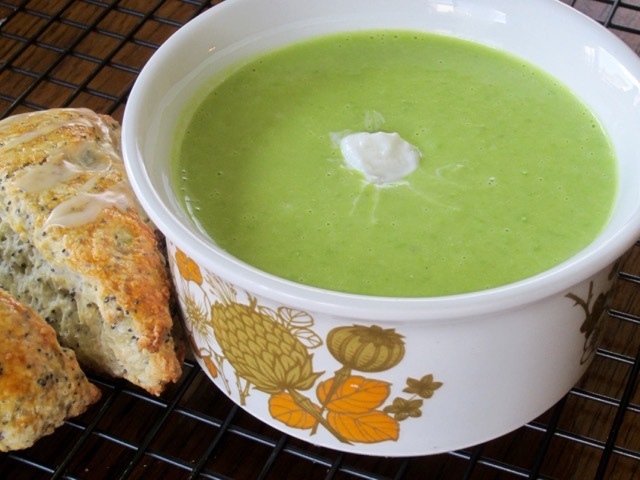 Do not use green peas (Pois verts). I wish you a lovely weekend! and cook gently for 8 minutes, stirring from time to time. 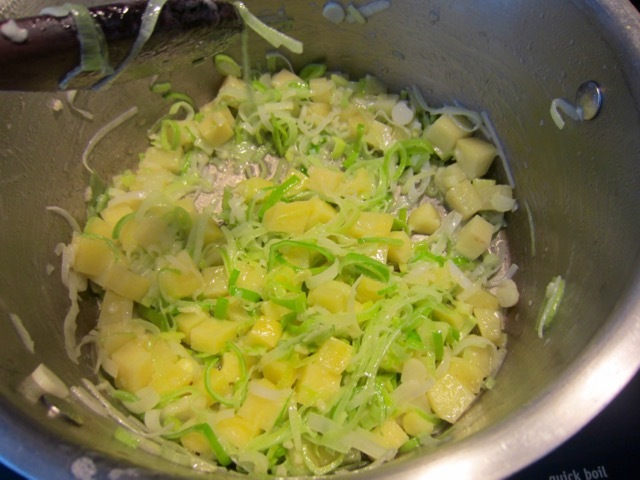 Add four cups stock (broth) and simmer about ten minutes until potatoes are tender. 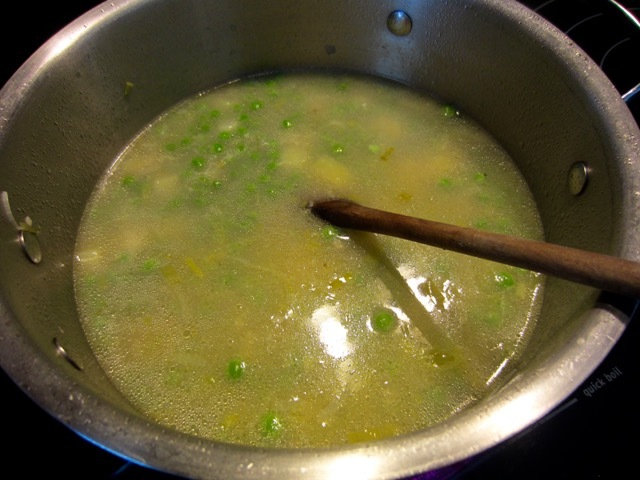 Add the sweet baby peas and bring back to the boil and simmer another 5 minutes. 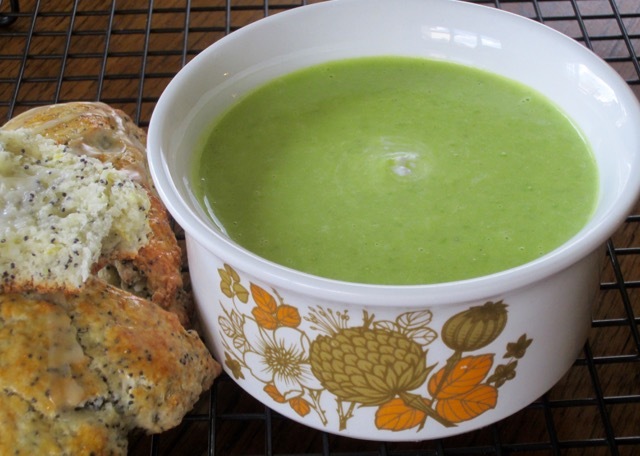 You can serve the soup hot or cold. If serving cold, chill in the fridge for at least 2 hours. Garnish with yoghurt. Heat the butter or olive oil in pot over medium heat. 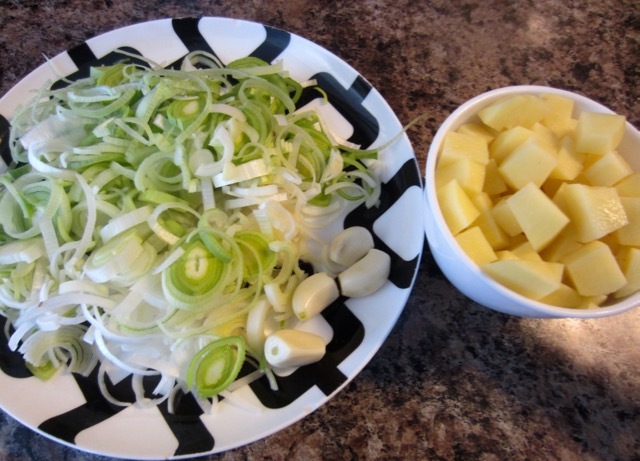 Add the leek, garlic, diced potato and pepper cook gently for 8 minutes, stirring from time to time. 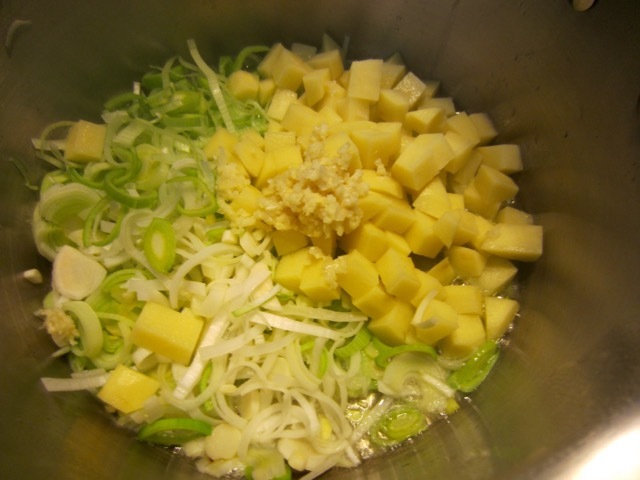 Add four cups stock (broth) and simmer about ten minutes until potatoes are tender. 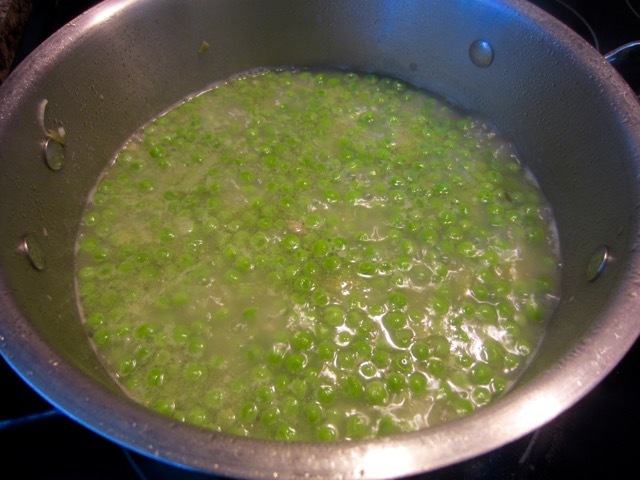 Add the sweet baby peas and bring back to the boil and simmer another 5 minutes. 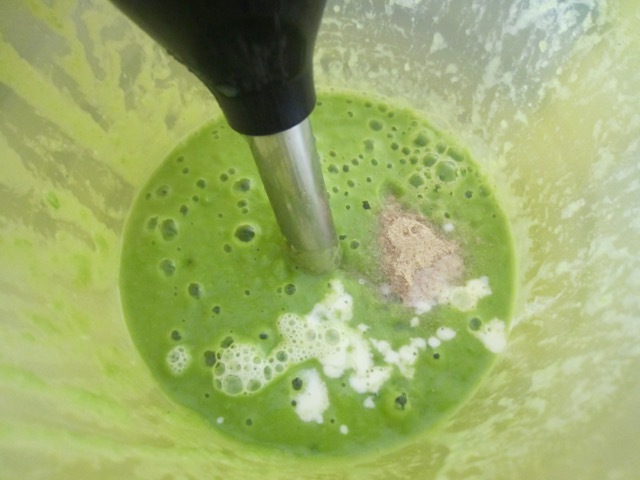 Using a stick blender or blender, puree the soup in two batches until smooth. Blend in the cream. Season with salt and adjust the pepper to taste. Prev What are squash blossoms? 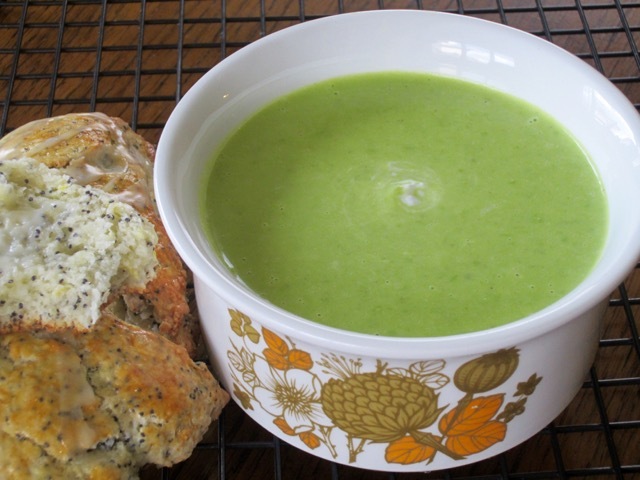 Next What is Yellow Crookneck Squash? Nice combination too. I love them both! 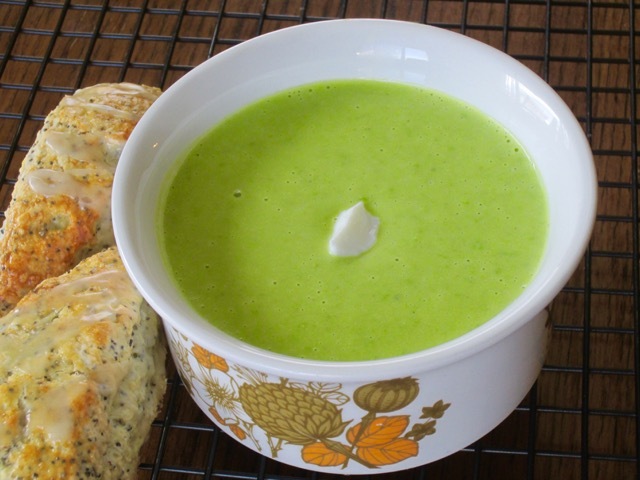 Lovely soup ! It looks so appetizing ! !